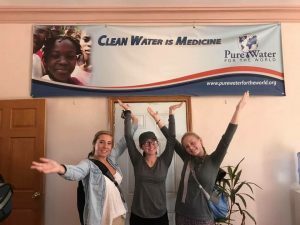 Three students from Elk Rapids High School in Michigan, joined middle school special education teacher, Julie Greene, on a volunteer trip to Haiti with Pure Water for the World (PWW) last November. The students all experienced a change in perspective and have shared their stories with us. 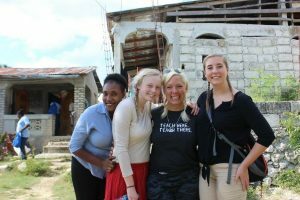 Victoria Garrow, a senior at Elk Rapids High School, said she expected Haiti to be a sad place, filled with sorrow and starving people, however, those expectations were quickly broken. Instead of ruins, Garrow found beauty. Instead of unhappiness, she found people who live each day to its fullest. “In the U.S., we are constantly thinking about tomorrow. The things we can gain, and the progress we will make. Haitians live day by day, finding immense joy in the little that they have,” Garrow said. Garrow’s favorite moments included traveling to schools and listening to stories about how access to clean water has changed their lives. In Haitian culture, it is believed that, if you are successful, you will use that success to improve the lives of others, which is why Garrow feels the need to continue supporting Haiti. 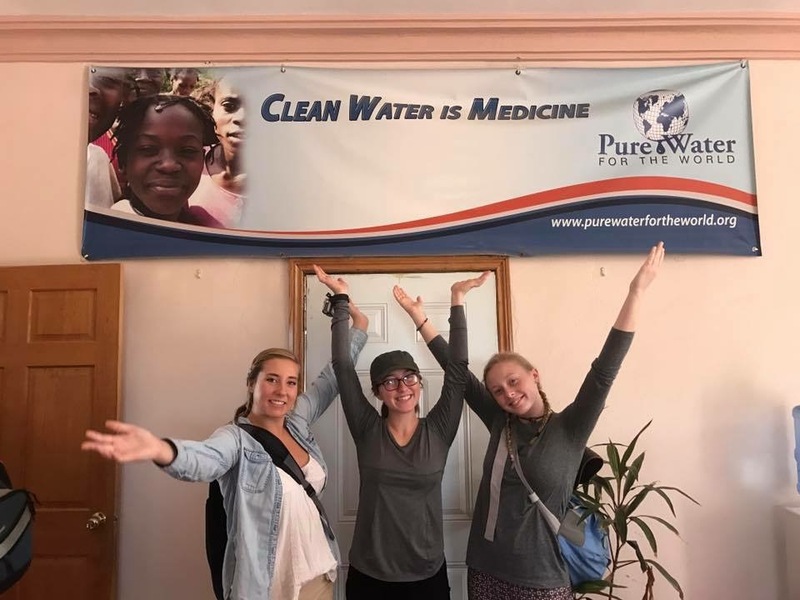 “Traveling to Haiti with Pure Water For the World was the best decision I’ve ever made, and it provided me with clarity for my future humanitarian efforts and career path,” Garrow shared. 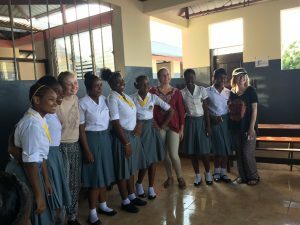 Charlotte Drumm, another one of the three students, was also encouraged by the strength and generosity of the Haitian people. “They don’t want more and more things like we do here in the United States. They are content with what they have,” Drumm stated. Drumm said it was educational to see the water filters at work first-hand, during her visits to the towns where PWW currently has projects. “The effect that even a few water filters has, is enormous,” Drumm said. Erin King, the third student who participated in the trip, share the most impactful aspect of the trip for her was seeing the contaminated water samples. “It was devastating seeing so much bacteria and waste in water that is going straight into their bodies. So sad to see it with my own eyes,” King said. All three of the students are part of a Rotary International high school program called Interact, a youth-based club dedicated to developing leadership and service skills. Julie Greene helped to coordinate their participation in the trip. 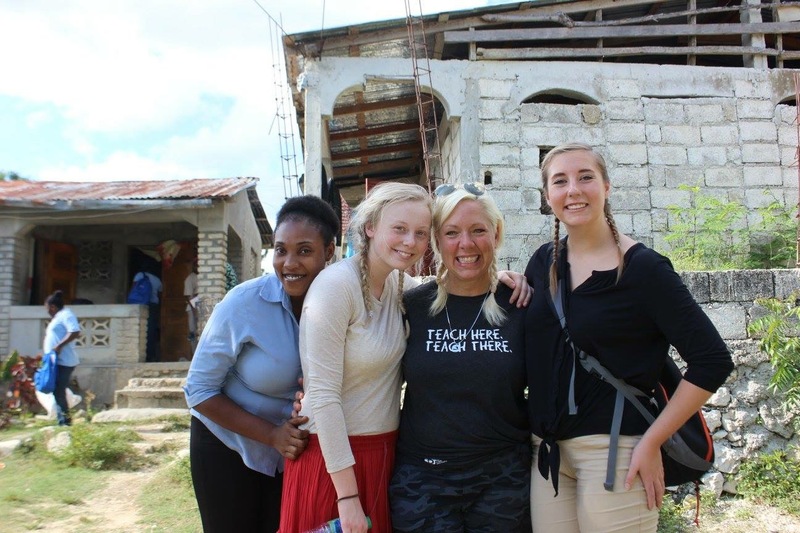 Many of Greene’s Elk Rapids middle school students, who have heard the volunteer stories, are already excited to join Interact and potentially visit Haiti themselves. Greene said all three students [ Garrow, Drumm and King ] returned home with a new sense of purpose. “What I loved was each one of those girls came away with a very unique perspective on how they would take their experience moving forward,” Greene shared, noting that all three students have special areas of interest and are working on choosing careers that allow them to give back. One student is hoping to use her interest in photography and graphic design, another is hoping to work as a doctor, while the third is working on fundraising through Interact. “Guilt is never a good motivator,” she said about encouraging students to become more involved. “Studies show that individuals who volunteer in some capacity in high school, will be more likely to volunteer as adults.” Find an organization that is “doing good well” is what Greene encourages when focusing students towards volunteer work. 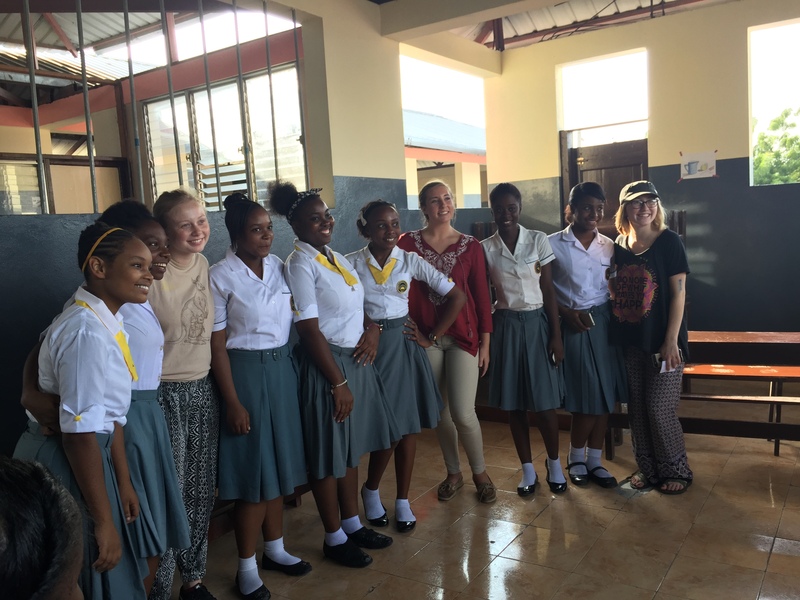 Greene believes that when students visit another country, and see the work first-hand, it makes it all more real, which changes perspectives and lives. “There are different ways people handle ‘re-entry’. They can be depressed, or they can integrate their experiences into their life,” Greene said. She encourages the girls to share their stories. Sharing the stories, she believes, is what changes the minds and hearts of others. PWW Travelers Haiti, Interact, Michigan, PWW Travelers, PWW trips. PWW volunteers, Rotary Club, travel abroad, Travel for Good, volunteer, water. permalink.